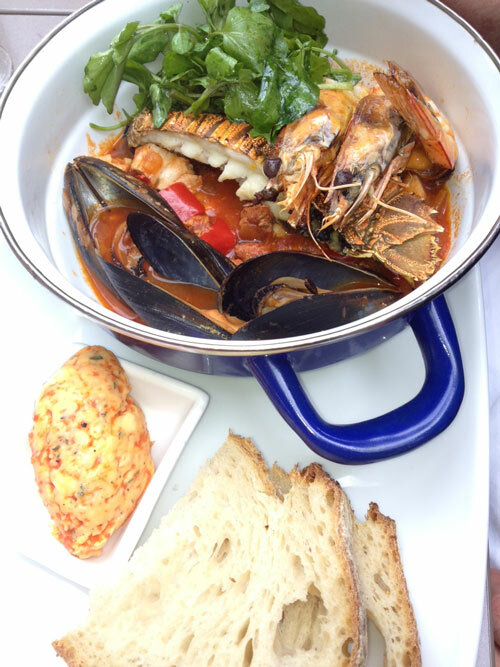 Manly head Chef Michael Nash has put together some mouth watering specials this week, the feature is definitely the Portuguese influenced Seafood Cataplana. This week it is available in Manly as a special and is served with chorizo, roasted capsicum butter, king prawns, bugs, mussels, sourdough and watercress. Don’t forget Australia Day is Thursday, info available here on Garfish opening hours.